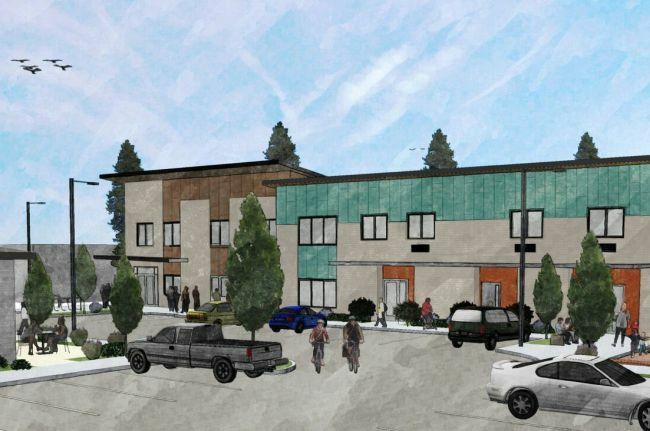 BEND, OR -- Bend’s largest homeless shelter is in the midst of a major reconstruction project that will increase its size in 2018. In preparation for that expansion, the Bethlehem Inn is growing two programs and bringing in new managers. Executive Director Gwenn Wysling says “Families First” program will double in size, once construction of the family units is complete. And, the “Next Steps” program works with individuals to create goals to elevate them out of homelessness. "These programs, for the population we serve, are certainly in higher demand," Wysling tells KBND News, "And, with the new building that we’ll be moving into, we have an expanded service hub, a commercial kitchen, dining room; and, we’ll be able to serve twice as many families as we currently serve." Eventually, a second phase of the project will include more single units. Wysling says ongoing construction is worth the inconvenience, "We have not had to reduce any of our housing; so, we’re still able to have the same amount of beds for singles and our families but it is very tight. We run into some parking situations with the amount of construction that goes on there." And, as things start to take shape, residents are getting excited, "They see the excitement of a new shelter coming on line, and what an improvement it will be. Because, being in an old motel without a kitchen and without just the space, gives us all something really wonderful to look forward to." 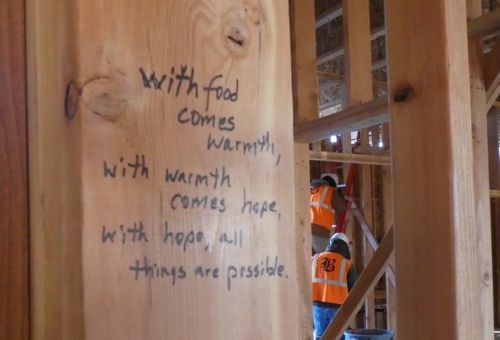 At least one resident is already benefiting from the project, "We have a gentleman, who is living at the shelter, who was hired and is working on the job site. So, there’s plenty of jobs out there and we have plenty of folks out there working."